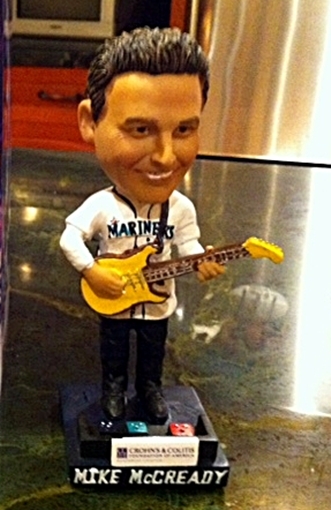 In what has to be the first in the world of Major League Baseball and Rock Musicians, the Seattle Mariners gave away a Mike McCready Bobblehead on June 3, 2011. 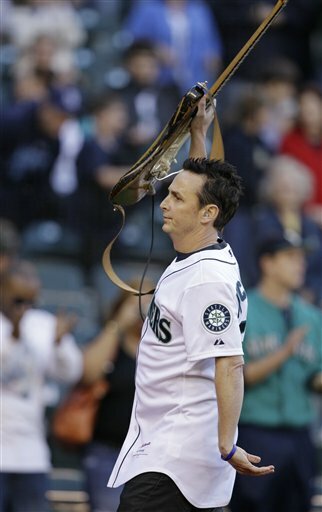 Pearl Jam and McCready both reside in Seattle, Washington but the special occasion was in support of the Crohn’s & Colitis Foundation of America. 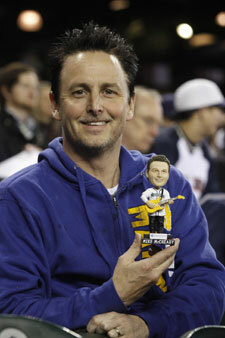 McCready suffers from Crohn’s and has worked very hard to bring awareness of the disease. 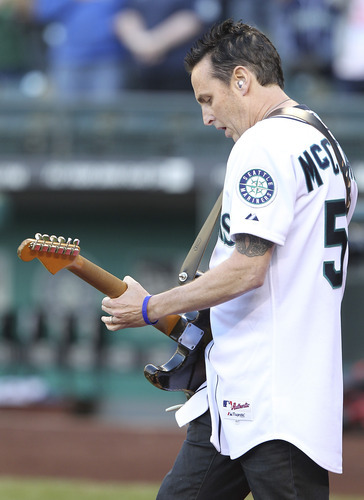 McCready also performed The National Anthem in the style of Jimi Hendrix before the game at Safeco Field. Of course some of the bobbleheads hit ebay and are selling for about $100. Hopefully some of the proceeds of the ebay sales go the CCFA as well.